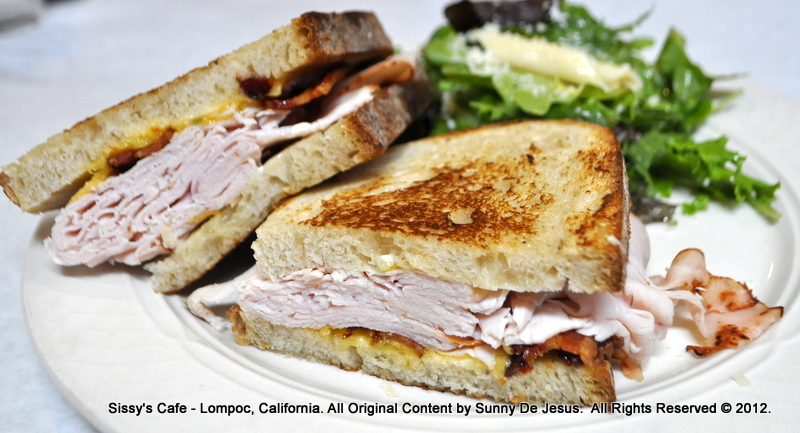 Sissy’s Uptown Cafe – A go-to place to grab a bite to eat, because the Winemakers in Lompoc said so. 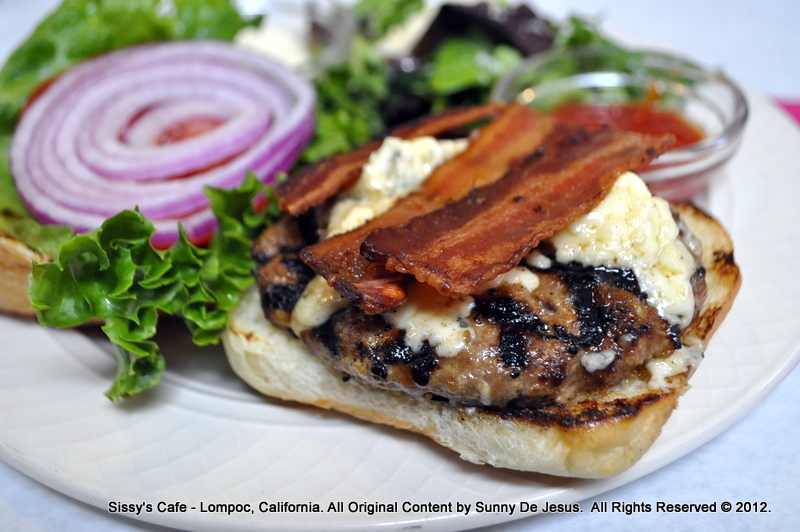 A wine loving friend of mine tells me that all the winemakers in the Lompoc area recommend Sissy’s Uptown Cafe as the go-to place to eat. So, he took us there for lunch to grab a quick bite to eat before we headed out to our next wine tasting location. My friend was right. Lunch was quite good and satisfying. Sissy’s Uptown Cafe is a brightly colored, tropical looking restaurant that is noticeable among the other business establishments on I Street. The food is cooked to order and so are their seasonal pies. The service is also as humble as it gets. I really liked that I was greeted warmly immediately when I walked inside with my friends. The restaurant looks a little kitschy with froo froo decor and paintings from the local students, but don’t let the decor put you off. Sissy’s does house a little wine shop that sells a rather decent selection of wine typically found in the Lompoc/Santa Barbara County area as well as wine memorabilia and more froo froo knick knacks. I was in need of some food especially protein after spending a few hours at the Lompoc Wine Ghetto. Alas, my order came…the Gourmet Burger! It was a perfectly juicy Angus burger grilled medium well. I chose to top my burger with some slices of Applewood Bacon and Blue Cheese for the added gourmet extravaganza just to tantalize my palate. I also liked the touch with the grilled potato bun too. I felt whole again after eating this burger and my cravings for more wine tasting instantly came back into full swing. I also took a bite out of my friend’s sandwich; a Grilled Turkey, Applewood Bacon, and Cotswold Cheese sandwich. My gosh! It’s an awesome sandwich. As simple as it looks, there’s a lot of wonderful flavors in this sandwich especially the Cotswold Cheese which, strangely enough, tastes like a gourmet processed cheese food. I assure you that it’s not processed cheese food, but a nicely nutty yet slightly onion tasting cheese. As much as I wanted dessert to end my meal, my friend assured me that he had a surprise in store for dessert. So, I had to reluctantly pass on dessert at Sissy’s. No worries though as it’s just my excuse for a return visit to Sissy’s Uptown Cafe in the future to catch up on their homemade desserts. Next I survived the 2nd Annual LA Weekly Pancake Breakfast.